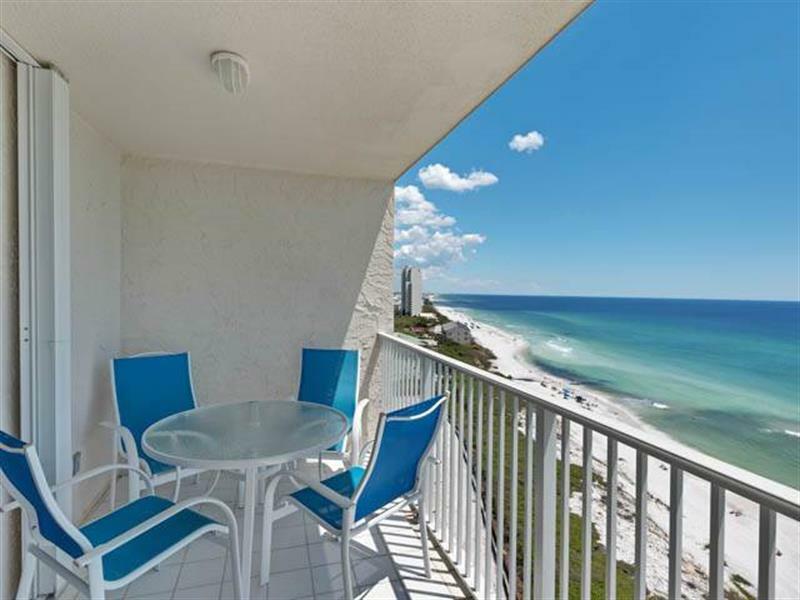 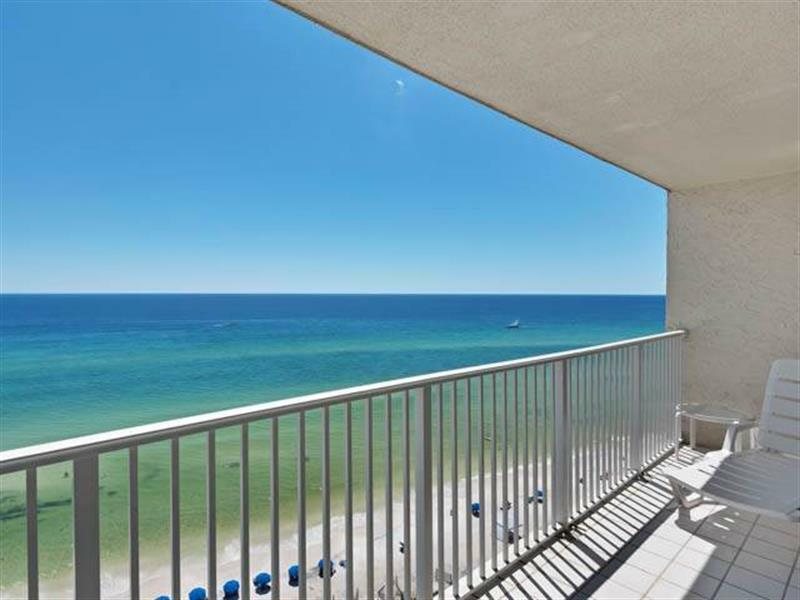 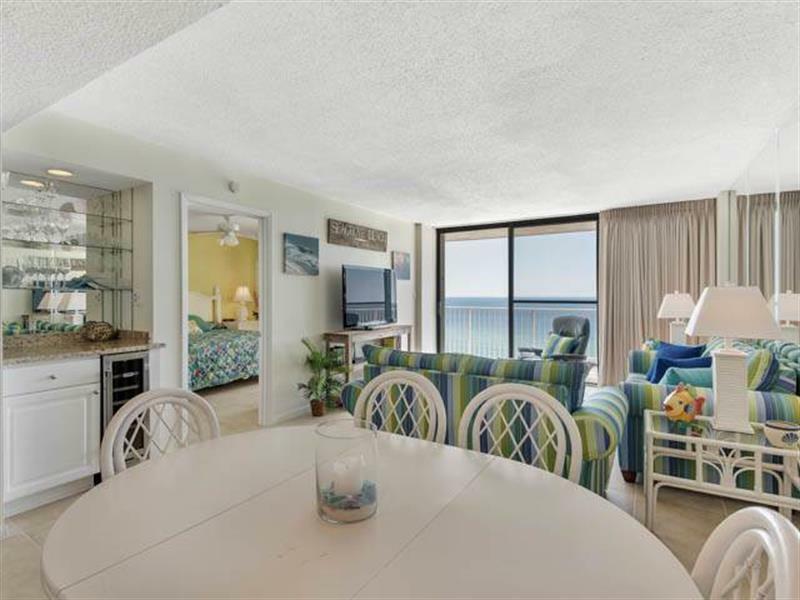 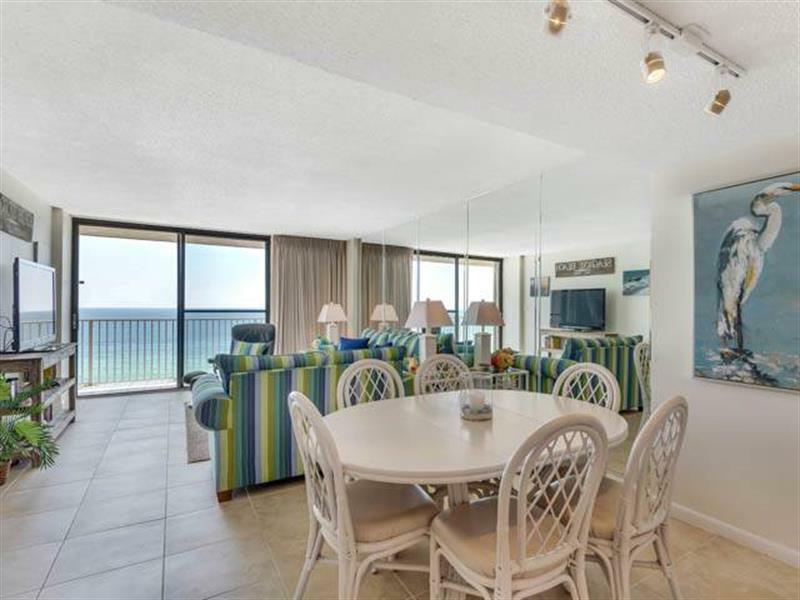 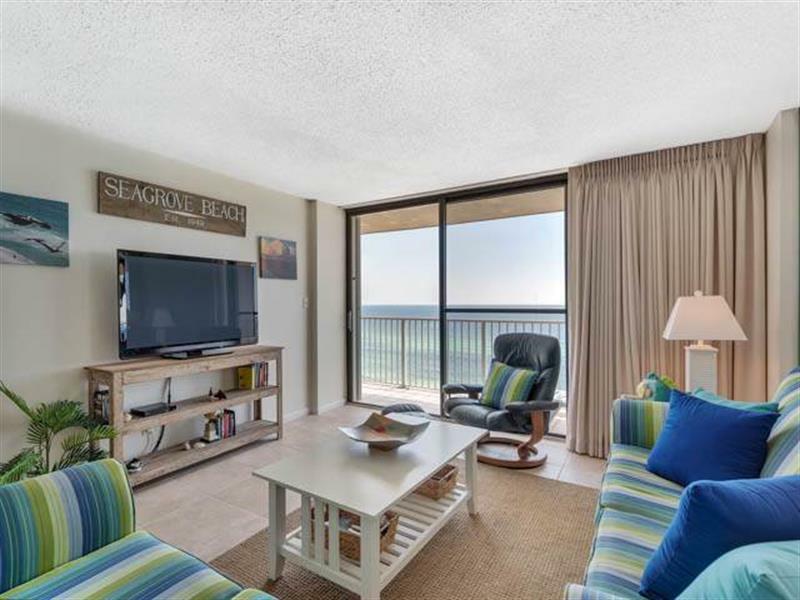 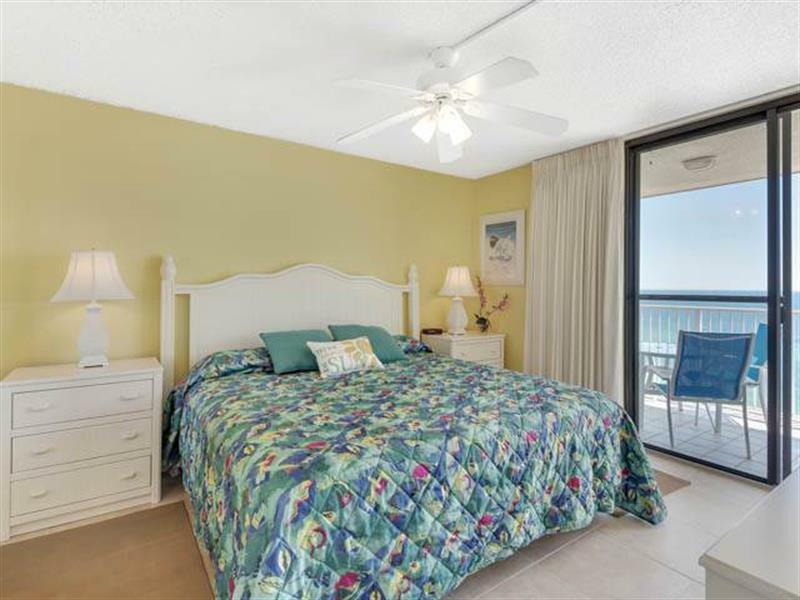 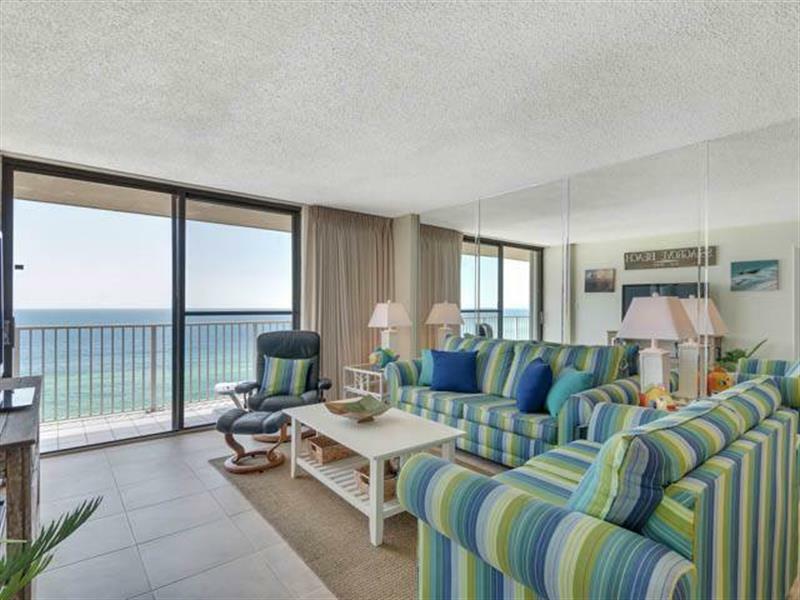 Stunning views and spectacular sunsets are what you will enjoy from your own private beachfront balcony. 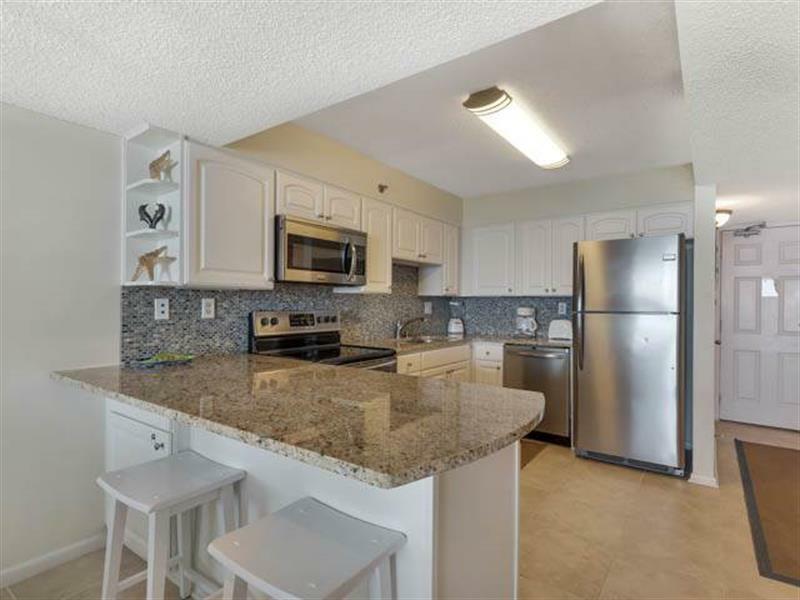 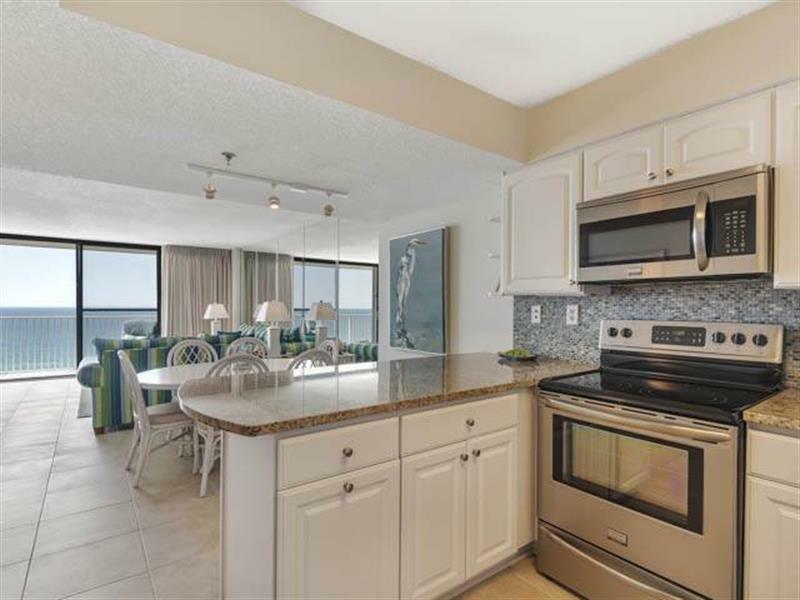 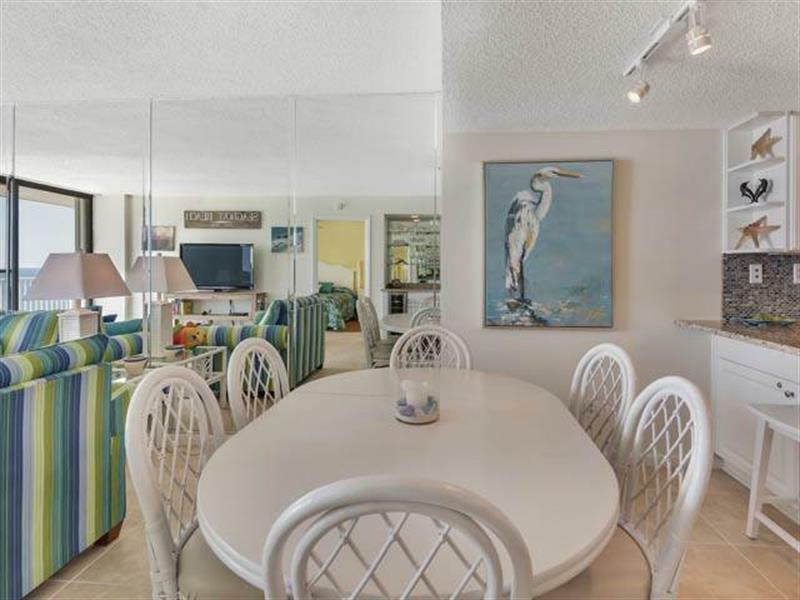 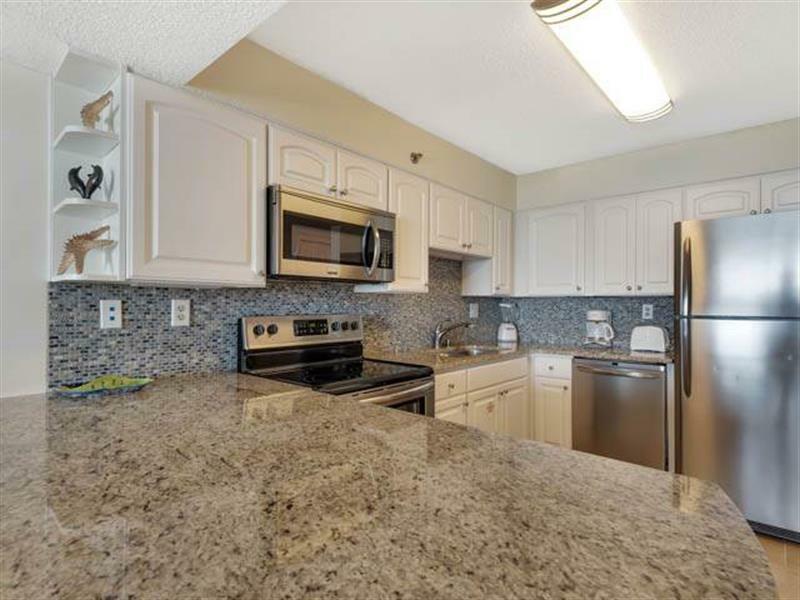 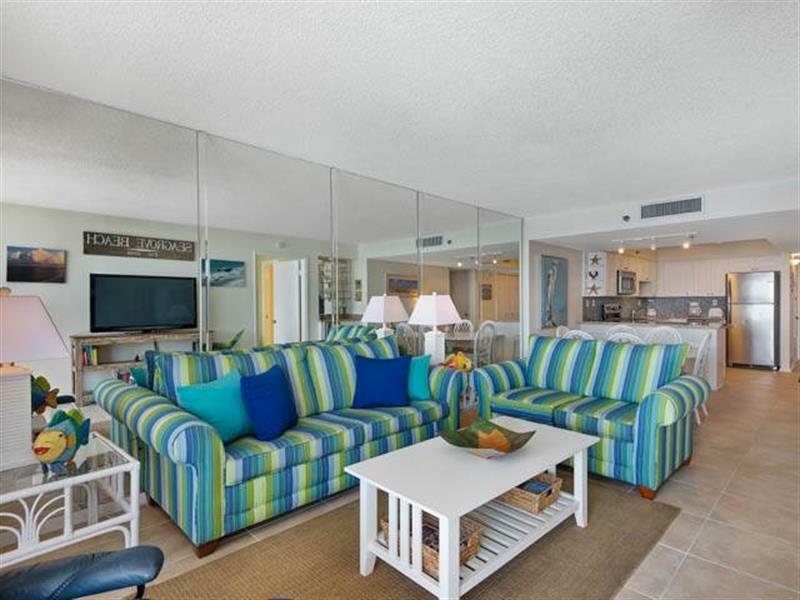 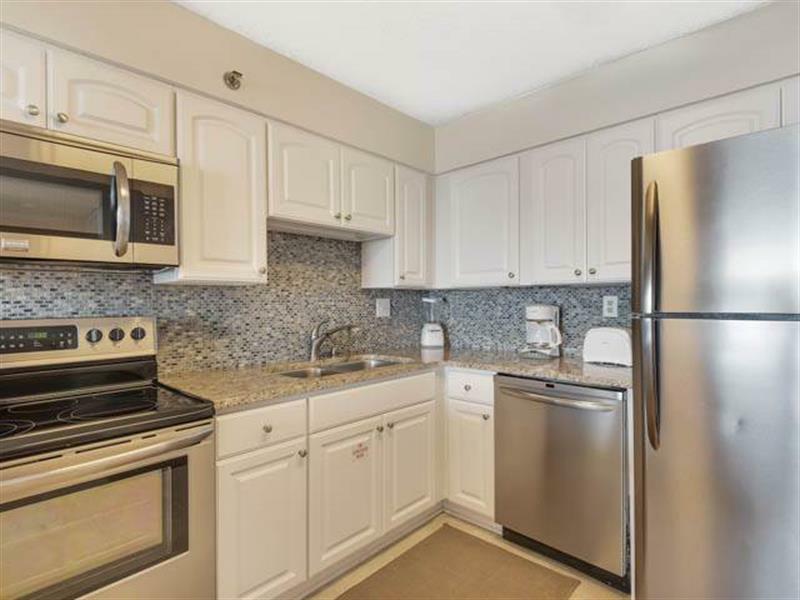 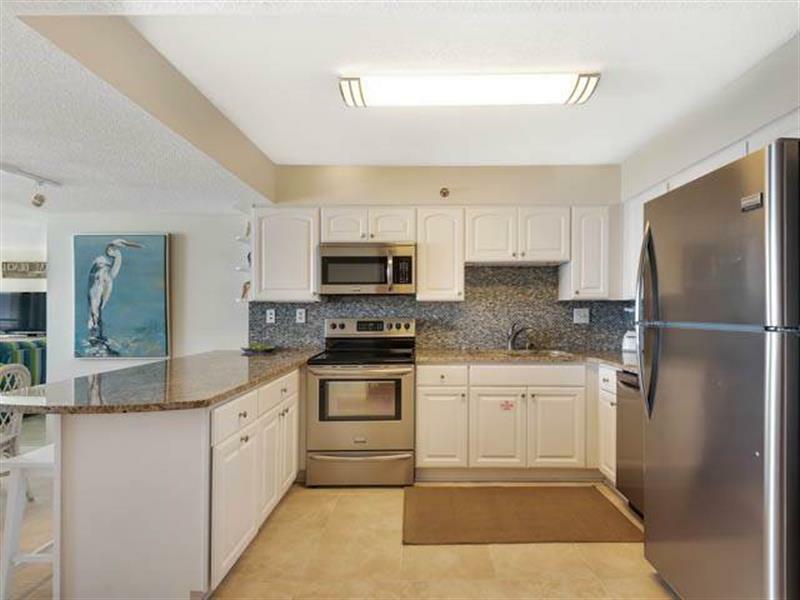 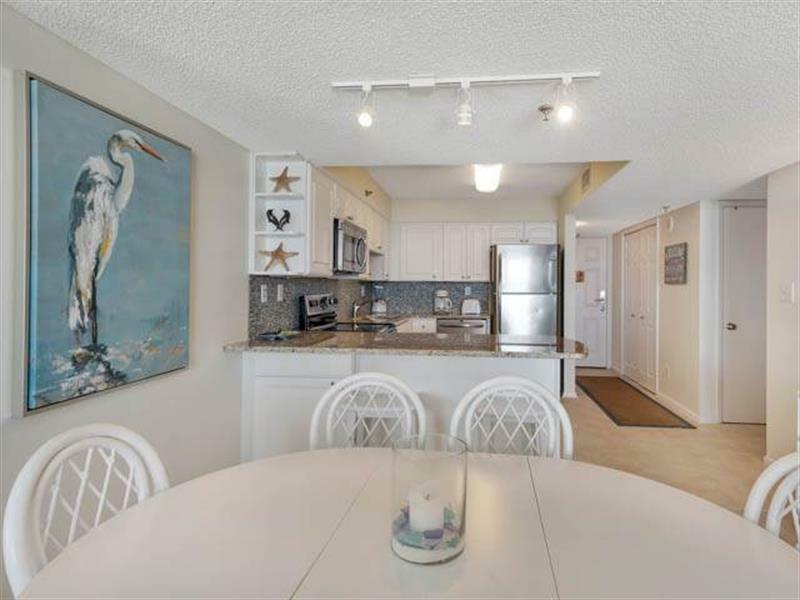 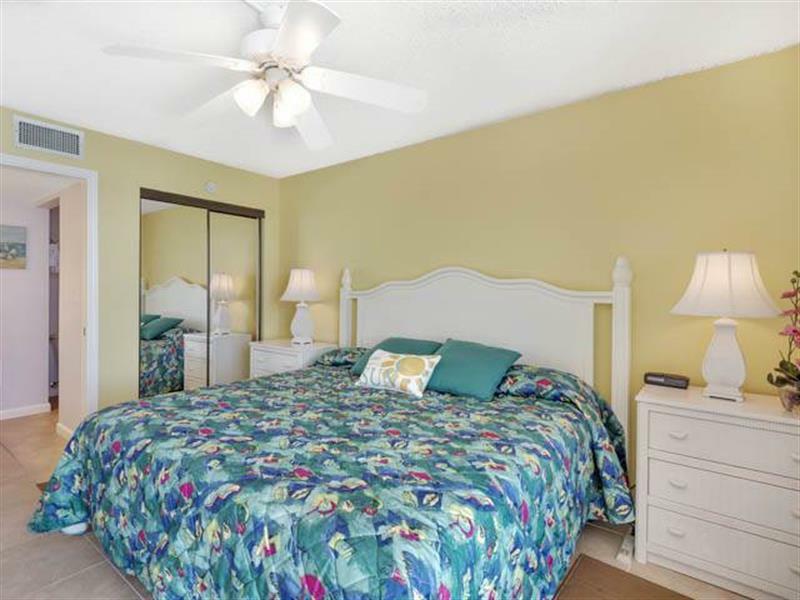 This two bedroom, two bath condo has a completely remodeled kitchen with new cabinets, granite countertops, stainless steel appliances and dazzling backsplash. 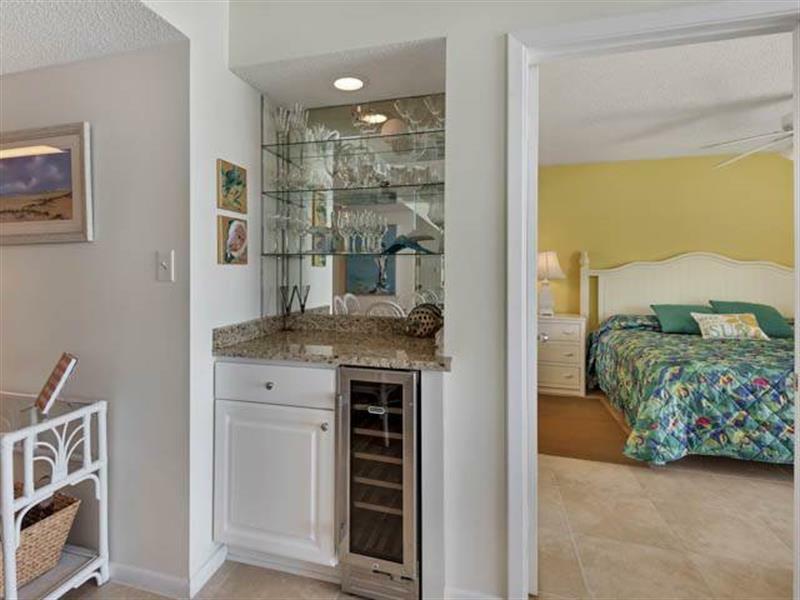 The bar area also has a new granite countertop and built in 18 bottle wine cooler. 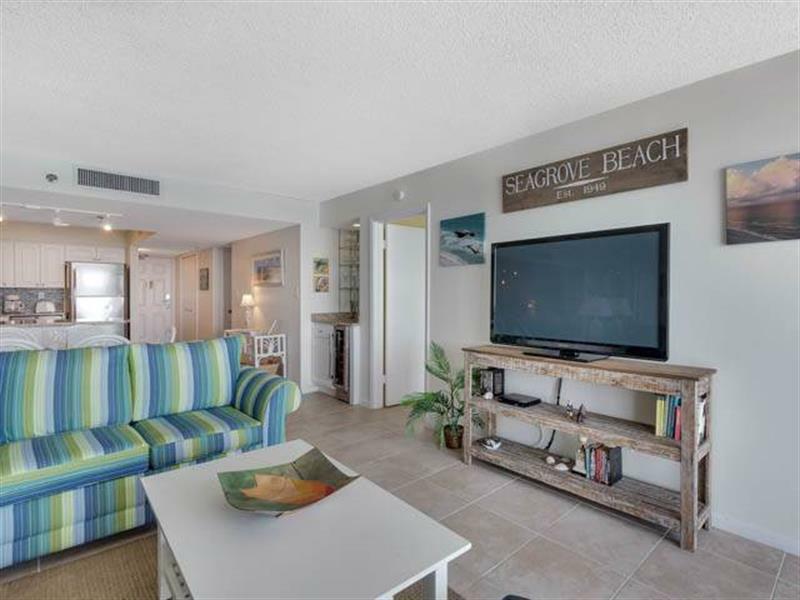 Beachcrest is located close to some of the finest restaurants, gift shops, galleries and boutiques. 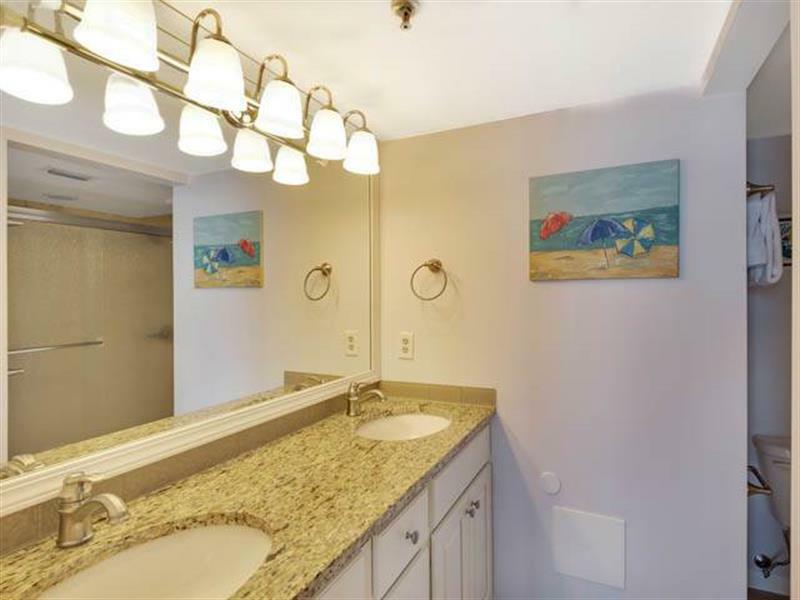 A hiking and biking trail is just steps from your door, with several bike rentals nearby. 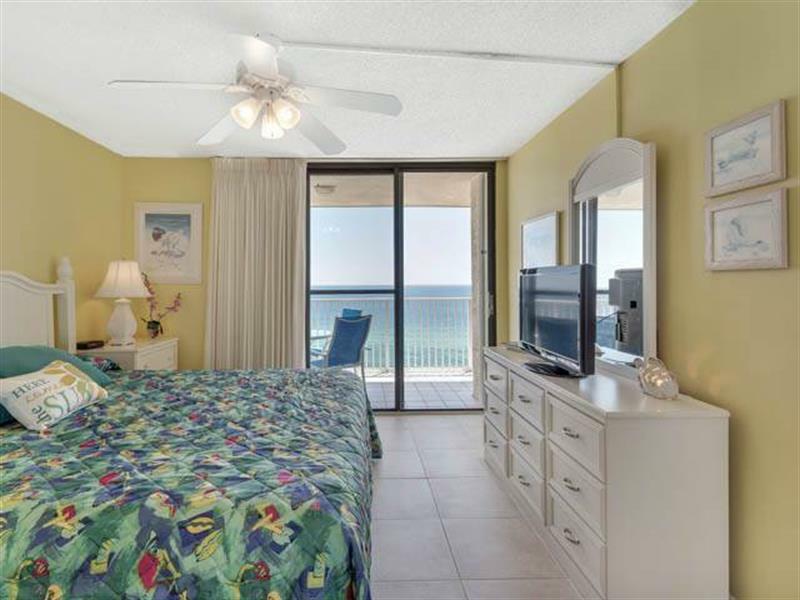 Your perfect vacation awaits you!